Take advantage of our offers and services from 10:00 to 15:00 Monday to Sunday. 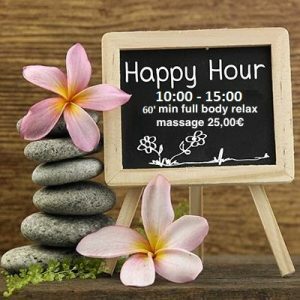 Relax Massage – Treatment time 60′ min only 25.00€ !! !